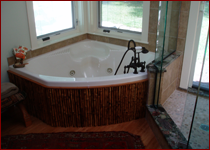 "After talking to several contractors I had a good feeling about Mike. Everyone told me building a new home would be a miserable experience. Not true, Mike's company and all of his subs were just great. They were there when they said they would be and finished on time. I'm really glad I waited for Mike to finish his other job as I can't imagine anybody else doing as good of a job. P.S. My wife thought all of Mike's guys were great and we both feel a bit of loss when they weren't there any longer." 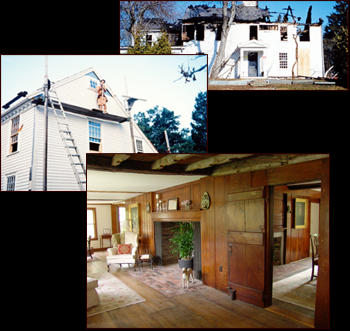 "Following a major fire at my home, Michael Doiron led a year long restoration effort. Using recently drawn plans of what previously existed and an 8x11 legal pad, Mike undertook a daunting task. At all times, he displayed an excellent skill set in his trade, an impressive work ethic, a professional manner with all present on the site, and a passion for his work. Mike's sense of scale, proportion, and appropriateness exceeded all expectations. 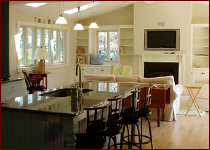 He has been the best contractor I have been associated with in my 27 year real estate career." 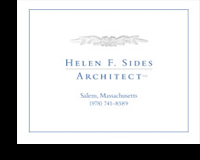 "I met Mike as he was rebuilding a friends’ heavily fire damaged 18th century home. After following the progress of the Housewright Company on that project for several months the decision to work with Mike on my own project was simple. Mike played a critical role in my project from the outset, as he incorporated our ideas into conceptual drawings. My wife and I wanted our future home to look as if it had always been there. 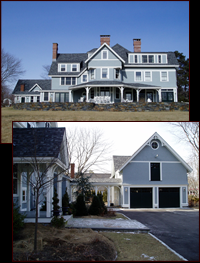 Mike’s appreciation of classic coastal New England architecture is evident in our project. He salvaged our interior doors and trim from a historic home about to be demolished, and exterior elements reflect those of the turn of the 20th century, as a result we are frequently asked how long ago our “old” home was built. Mike runs a small crew and is on site daily, frequently working with the crew. He does not juggle multiple jobs. His subcontractors were dependable, reasonably priced, and most importantly the quality of their work was superior. There were no construction delays at any time during the project as Mike choreographed the subs seamlessly. I frequently work with contractors as an operations manager for a large non-profit, and Mike Doiron’s Housewright Company is without a doubt the best I have ever worked with. His people skills are excellent. Home construction can be one of the most stressful experiences one ever has to deal with. Mike’s confidence and sense of humor made the process fun for my wife and I. He kept me abreast of his progress on a daily basis. I had no surprises if issues arose as Mike carefully spelled out my options beforehand. He brought my project in on budget and on time. I am looking forward to working with him again." 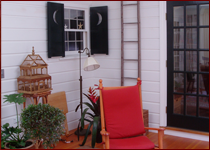 "Simply put, there is no other builder that brings more to an old house than Mike. He thinks ahead, studies the drawings, asks questions, and makes recommendations; to prevent mistakes, and avoid unnecessary expenses. His job sites are clean, his workers are long term, competent and courteous, and his paper work is up to date and comprehensive. When you hire The Housewright Company you get commitment from beginning to end. Mike loves his work …and he’s very funny too! I wish he could do all of my projects!" "Mike and his crew were wonderful. People kept asking how our project was going, and when we answered "great," they were surprised given their experience with other contractors. Mike is a great communicator, and was on site every day, as well as available any time we had questions. We knew what to expect at all times, and knew what was expected of us in terms of the timing of materials & design decisions. 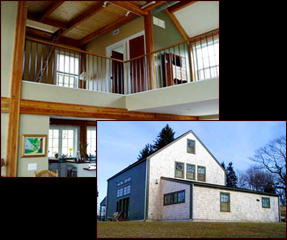 Mike also worked well with our architect, collaborating to solve the problems that always emerge with the renovation of an old home. And the positive experience did not end with Mike. His crew and subcontractors were great as well, and very clean. I have been to other construction jobs and seen what a mess the jobsite can be. Mike's team swept our house clean every night, even during the demolition phase, and all waste, both inside and out, place in the dumpster. We are thrilled with the outcome, and spoiled by the experience. We are planning another major addition someday, and hope to work with Mike & The Housewright Co. again." 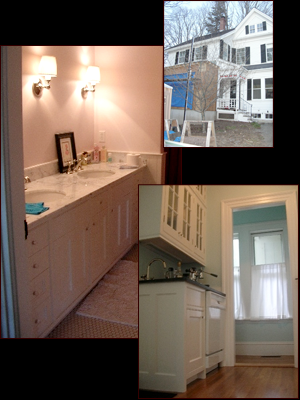 If you would like to send us an email about your renovation, please don't hesitate!